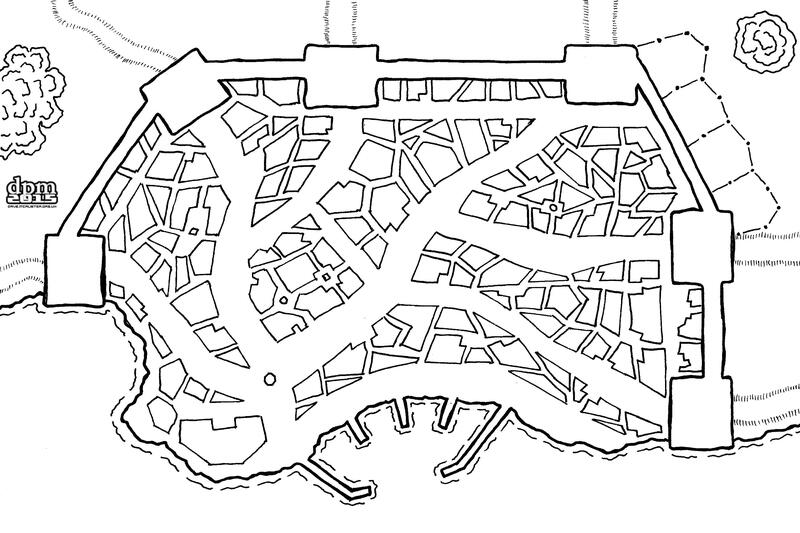 Something a bit different this week with a kind of stylised city or town map. The “buildings” within aren’t meant to show individual structures, more rough groupings – although you could certainly use them as individuals if you wished. My thought process was for a city that had main thoroughfares from the gates to the “central” trading area (which, itself, was just along from the docks). There are also lots of little side-streets or alleyways where nefarious activities can take place.